This week, the House Tax Committee received multiple days of testimony on Senate Bill 22. 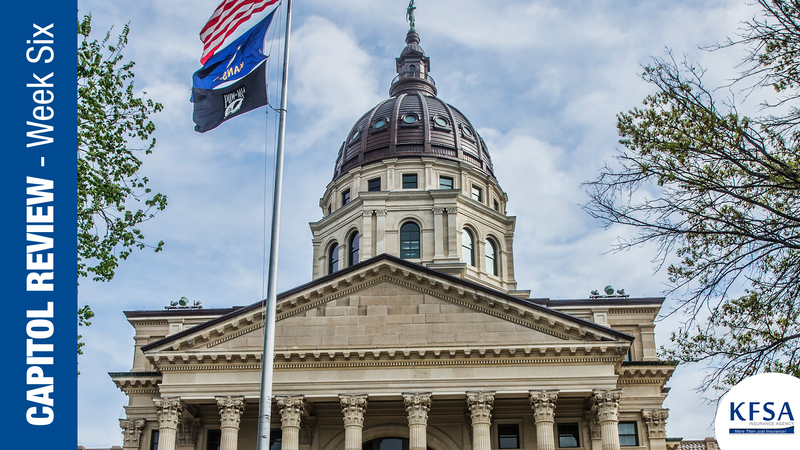 This bill would decouple the portions of the Kansas corporate tax code from the federal corporate tax code to ensure that Kansas corporations do not experience an unintended increase in state taxes following passage of the 2017 Federal tax cuts and jobs act. The committee is scheduled to take action on the bill on Monday. On Feb. 20, the House Committee on Commerce, Labor and Economic Development held a hearing on House Bill 2354, a bill which would allow student workers in unpaid, school-based vocational training and apprenticeship programs to be covered by the school district’s liability insurance. The Kansas Department of Labor indicated that this arrangement would be consistent with Kansas labor laws. Proponents of this bill include Kansas Grain and Feed Association, the Kansas Agribusiness Retailers Association and Renew Kansas. The Committee will likely take final action on this bill again on Monday. On Feb. 18, the House Commerce Committee considered and took action on House Bill 2006 a bill which would require the Kansas Department of Commerce to collect data on state economic development initiative benefit recipients, of $50,000 or more annually, and place that information in a public database. In addition to economic development programs (HPIP, PEAK, STAR bonds, ANGEL investor tax credits), such reportable benefits would also include tax credit programs, and property tax exemptions. The committee amended the bill twice and then passed it out of committee favorably. 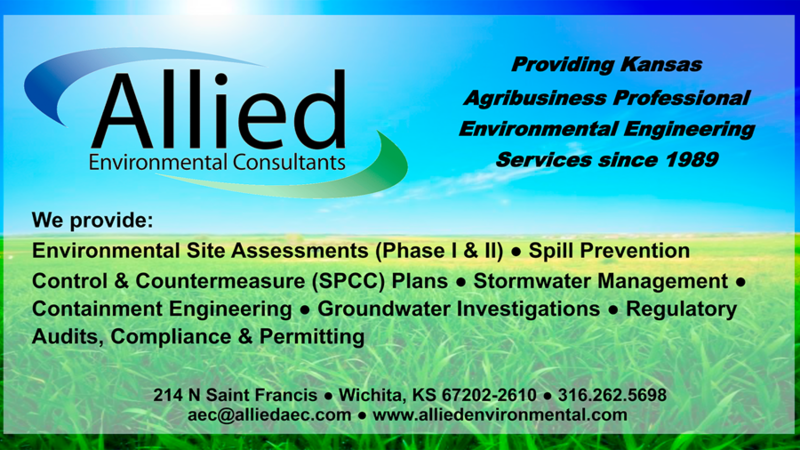 On Tuesday, the Senate Committee on Agriculture held a hearing on Senate Bill 153 a bill introduced at the request of the Kansas Department of Health and Environment (KDHE), which would consolidate the authority and responsibilities of the Kansas Spill Program into one statute. The bill would also require the responsible party to complete remediation of any release; allow the Spill Program to provide oversight and technical guidance during the response; and permit the Spill Program staff to take emergency actions necessary to protect human health and the environment. The bill would permit cost-recovery from the responsible party for any state expenses for response to and oversight of a release. The bill would also provide KDHE the ability to levy penalties for illegal dumping, the lack of or refusal of the responsible party to clean up a release, or the lack of timely reporting of a release. Kansas Grain and Feed Association, Kansas Agribusiness Retailers Association and Renew Kansas Association testified on the bill and proposed amendments to the language. The Committee did not take final action on the bill. 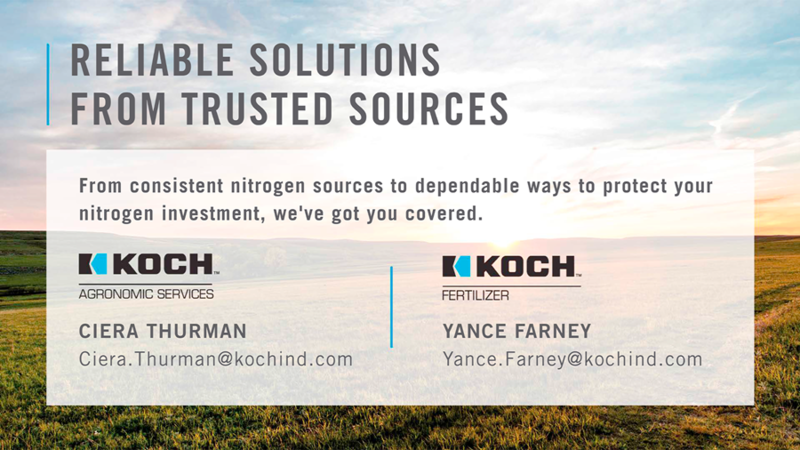 On Wednesday, the Senate Committee on Agriculture held a hearing on House Bill 2001, a bill which would extend the sunset of the Kansas Ag Chemical Remediation program from July 1, 2020 to July 1, 2030. Proponents of the bill include Kansas Agribusiness Retailers Association, Kansas Grain and Feed Association, Kansas Cooperative Council and Kansas Department of Health and Environment. On Thursday, the Committee passed the bill out favorably. On Thursday the Senate Committee on Assessment and Taxation received a presentation from the Kansas Legislative Division of Post Audit on the status of internet sales tax, following the recent US Supreme Court case which found that states could impose a sales tax requirement on companies that sold goods via the internet into the state when those companies did not have nexus with the state through a physical presence. Kansas does not currently have a law that would require a sales tax on internet sales, or on online “market place facilitators.” The Division estimates that the state could receive $40-70 million in additional annual revenue from an online sales tax if the legislature passed an online sales tax law and a market place facilitator law. The House Committee on Taxation held a hearing on House Bill 2352 concerning this issue. The Senate Committee on Utilities held multiple hearings this week on bills addressing high utility rates in Kansas. On Monday, the committee held a hearing on Senate Bill 145, a bill which would create a process for ratepayers to petition the Kansas Corporation Commission (KCC) for a review of rates and give the Commission the authority to change rates if they are found to be unfair or unjust. The bill would create a process for the KCC to investigate rates, charges, tolls and other charges. Then, on Tuesday and Wednesday, the Committee held a hearing on Senate Bill 69 a highly contentious bill which would require an independent study on Kansas utility rates. Hearings were also set for a third bill, Senate Bill 181 which would create a task force to review Kansas utility rates. However, that hearing was held off for a later time. On Friday, the House passed a measure on Final Action, Senate Bill 9 authorizing the transfer of $115,000,000 from the state general fund to the Kansas public employees’ retirement fund during fiscal year 2019. The bill previously passed the Senate unanimously. The biggest question now is whether Governor Kelly will veto the bill. SB 32: On Wednesday, Senate debated SB 32, a bill which would exempt certain non-insurance healthcare benefits coverage from the jurisdiction of the commissioner of insurance. The bill passed 28-11. HB 2173: On Wednesday, the House Committee on Agriculture passed HB 2173 out committee which would establish a commercial industrial hemp program. SB 76, On Thursday, the Senate Tax Committee held a hearing on this bill which would reduce the state retail sales tax rate for food and food ingredients. Food and food ingredients would not include alcoholic beverages, candy, dietary supplements, soft drinks, food sold through vending machines, tobacco or certain prepared foods, but it does include bottled water. SB 117: Relating to the treatment and transportation of diseased dogs and cats. Discussion was continued on the bill this week in the Senate Committee on Agriculture but no action was taken. SB 90: Relating to the center for entrepreneurship act; extending the tax credit for contributions to financial institutions, and increasing the annual credit available for all contributors. The Senate Commerce Committee took final action on the bill on Thursday. HB 2127: Relating to trucks and truck tractors, this bill eliminates a requirement to mark certain vehicles with axle weights. The bill passed out of the House on Thursday. HB 2178: relating to the Kansas underground utility damage prevention act; definitions; location of facilities and exceptions to the duty to mark. The bill was passed favorably out of the House Judiciary Committee.